The hippocampal formation has long been associated with the execution of higher-order cognitive functions, and impairment of this structure following severe stress and aging has been linked to cognitive disturbances. In order to understand the involvement of the hippocampal formation in the mediation of normal and pathological behaviors, much attention has recently been devoted to hippocampal neurogenesis. The dentate gyrus of the hippocampal formation has the ability to generate new neurons on a daily basis throughout life. 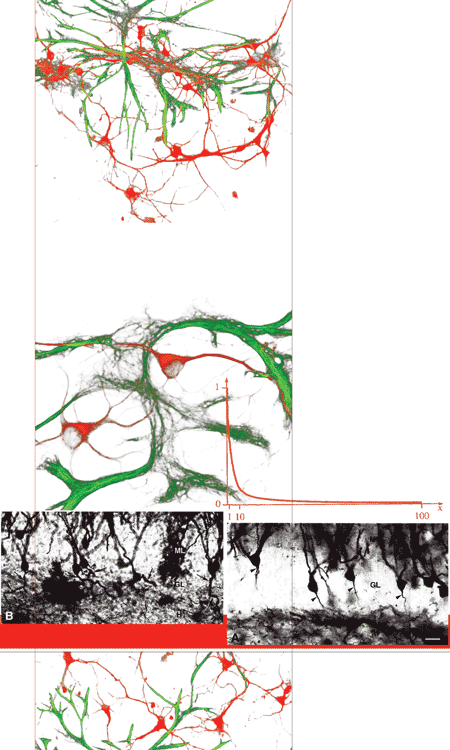 Surviving de novo produced cells develop into granule neurons and integrate into the functional circuitry. Neurogenesis has been proposed to play a role in hippocampal-mediated learning and has been implicated in the appearance of behavioral pathologies associated with the hippocampal formation. Although evidence suggest that neurogenesis play a role in spatial learning, the effect of learning on cell proliferation remains unclear. The authors demonstrated that the late phase of learning has a multifaceted effect on neurogenesis depending on the birth date of new neurons. The number of newly born cells increased contingently with the late phase and a large proportion of these cells survived for at least 4 weeks and differentiated into neurons. In contrast, the late phase learning decreased the number of newly born cells produced during the early phase. This learning-induced decrease in the number of newly generated cells results most probably from the death of the cells. Strikingly, cell death and not proliferation was positively correlated with performance. Thus, rats with the lowest cell death were less able to acquire and use spatial information than those with the highest cell death.